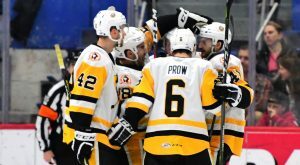 The Wilkes-Barre/Scranton Penguins were stunned by the Utica Comets in a game that ended in a final score of 8-1 on Friday night at Adirondack Bank Center. 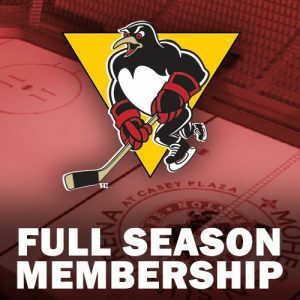 The Wilkes-Barre/Scranton Penguins (35-26-7-3, 80 points, fifth in Atlantic Division) head down the turnpike tonight for the first of two games in Allentown against the Lehigh Valley Phantoms tonight. 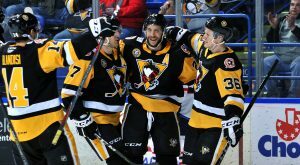 The Wilkes-Barre/Scranton Penguins shut-out the Binghamton Devils, 4-0, on Friday night at Mohegan Sun Arena at Casey Plaza. 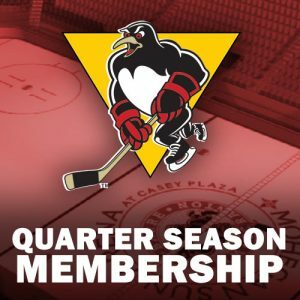 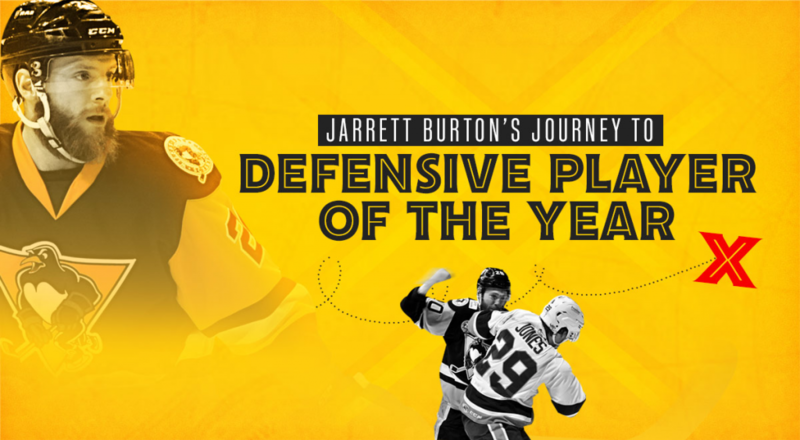 The Wilkes-Barre/Scranton Penguins will look to make up some ground in the race for the final playoff spot in the Atlantic Division when they host the Providence Bruins on Wednesday night. 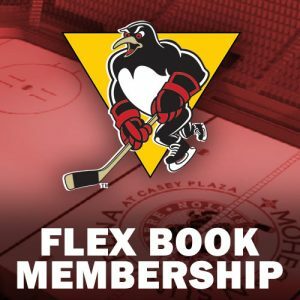 The Wilkes-Barre/Scranton Penguins overpowered the Springfield Thunderbirds and earned a 3-2 win on Sunday afternoon at Mohegan Sun Arena at Casey Plaza. 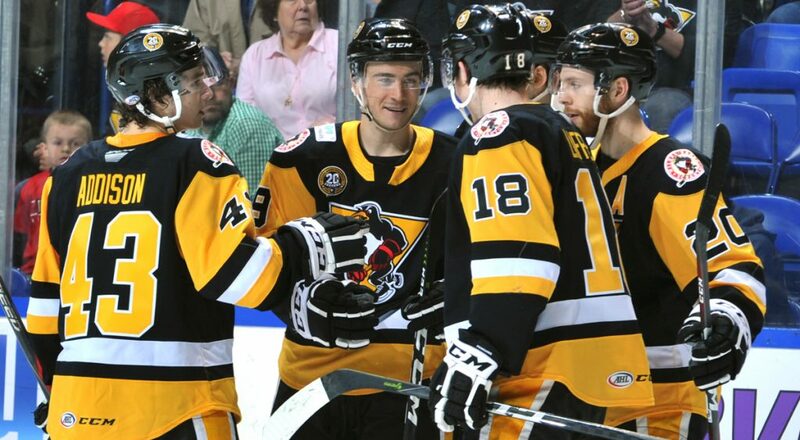 The Wilkes-Barre/Scranton Penguins emerged victorious at the end of a 5-4 overtime thriller over the Hartford Wolf Pack on Sunday afternoon at XL Center. 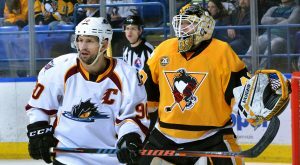 The Wilkes-Barre/Scranton Penguins and Utica Comets meet for the first time this season on Saturday night in NEPA. 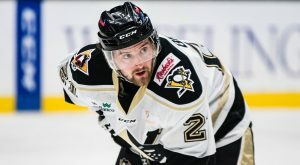 The Pens have an all-time record of 4-3-2-1 against the Comets, and the teams will finish up their 2018-19 schedule on April 12 in Utica. 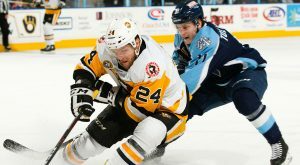 The Wilkes-Barre/Scranton Penguins came out of the gate fast and took down the Milwaukee Admirals, 5-2, on Friday night at UW-Milwaukee Panther Arena. 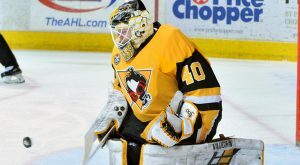 Goaltender John Muse has been reassigned by the Pittsburgh Penguins (NHL) to Wilkes-Barre/Scranton from the Penguins’ ECHL affiliate, the Wheeling Nailers. 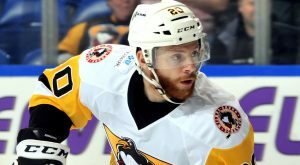 The Wilkes-Barre/Scranton Penguins have recalled forward Cam Brown from Wheeling. 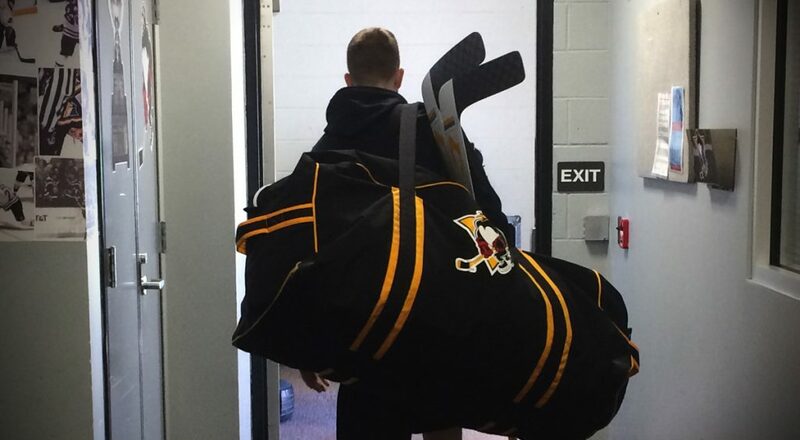 John Muse and Troy Josephs have been reassigned to the Nailers, as well.